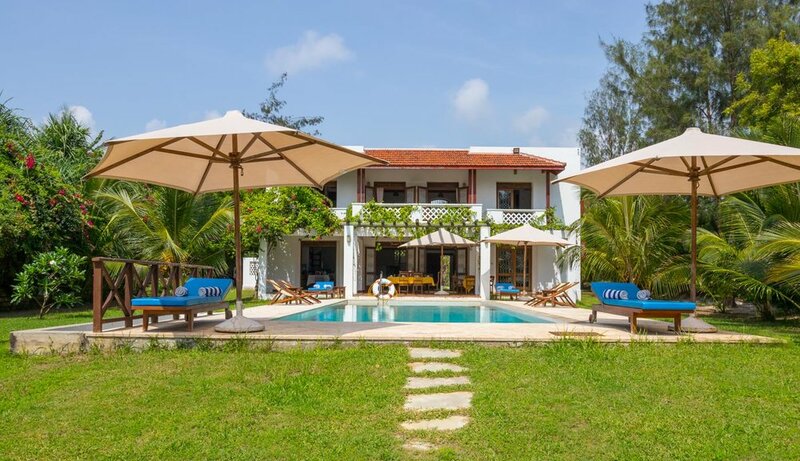 Villa Ballu built in September 2013 faces directly onto the white sandy Bofa Beach, Kilifi, offering stunning views of the turquoise waters of the Indian Ocean. The patio terrace covered by a magnificent gum pole pergola is designed for alfresco dining. 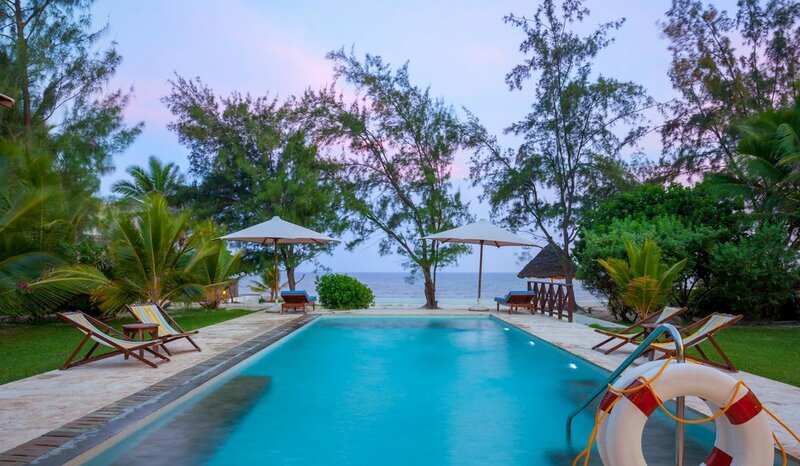 It overlooks a large infinity pool that leads directly on to the beach via a private access. The back of the house has views of a natural arboretum that forms part of the 2-acre property. 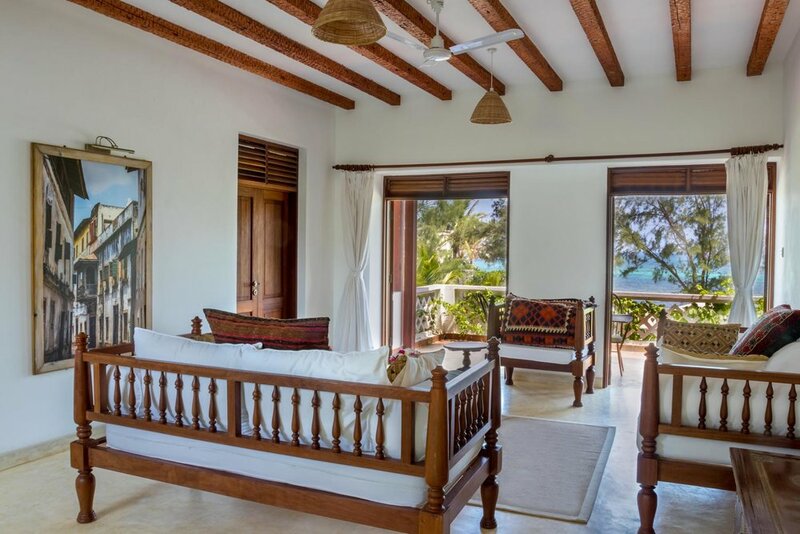 The extra-large windows of the villa are deeply recessed with mvule wood shutters that allow for ventilation and plenty of light. 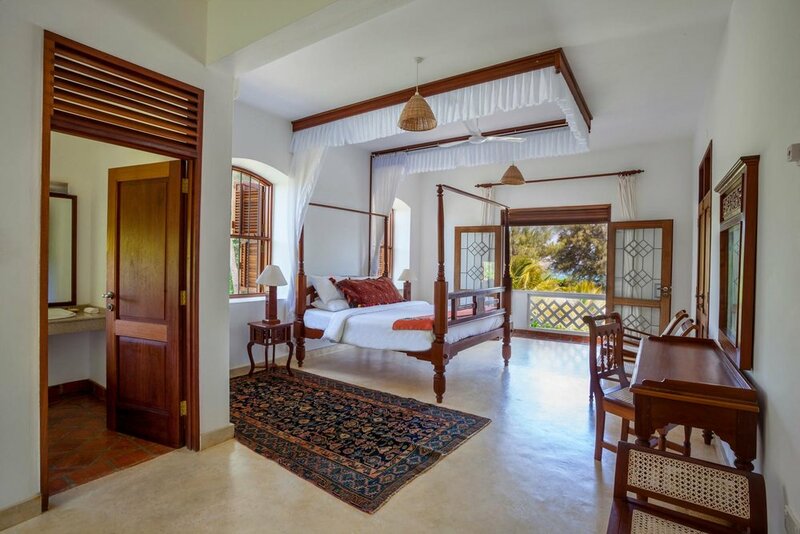 The main door is hand carved with an intricate Lamu design. 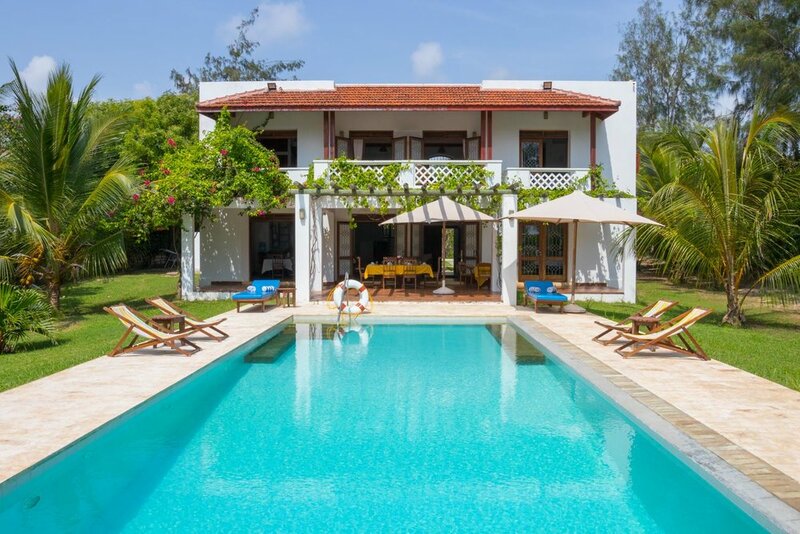 The house is furnished throughout with handmade traditional Lamu furniture, oil paintings by local artists, tribal Persian rugs and rare black and white photographs by Arthur Firmin. 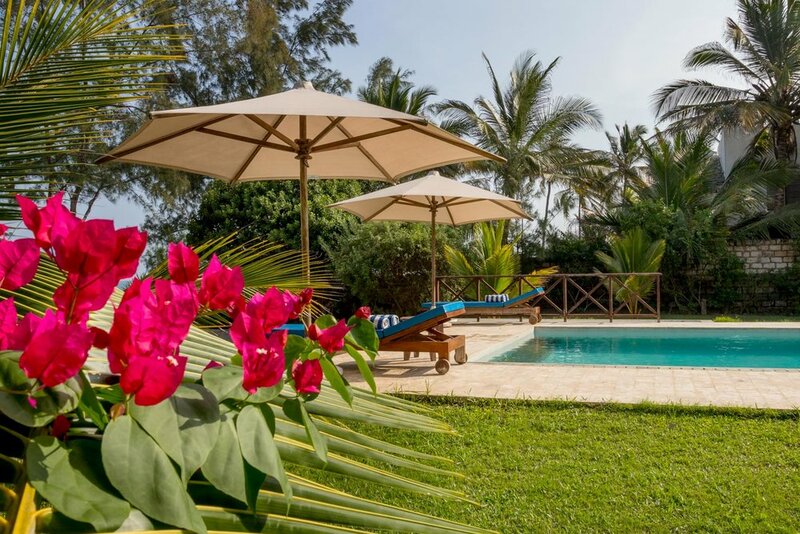 4 large ensuite bedrooms, 3 doubles and 1 twin, sleeping 8 in comfortable hand carved 4 poster beds with mosquito nets, cotton mattresses, extra linen and towels provided. 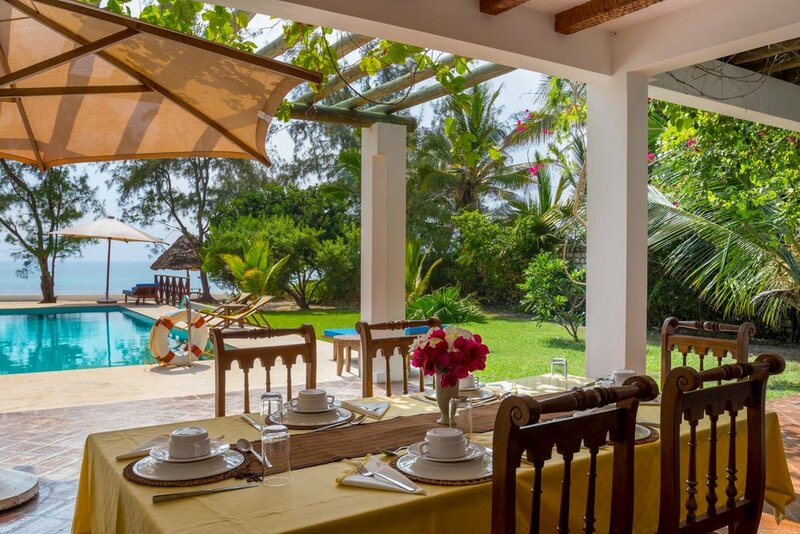 The open plan kitchen has high quality imported cutlery, fridge, freezer, gas cooker with oven and grill and a microwave.